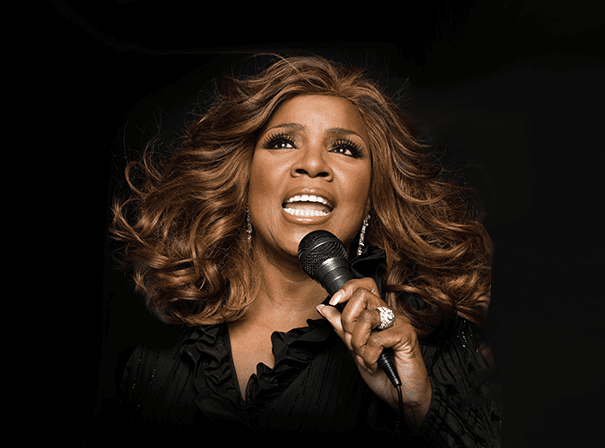 Gloria Gaynor is an internationally acclaimed singer-songwriter with a long string of immediately recognisable hits to her name. Chief amongst these is ‘I Will Survive’ which was recorded whilst Gloria was in a back brace and has since been re-recorded more than 200 times by illustrious artist of all descriptions. Originally released as a b-side in 1989 on Polydor, the track won Gloria an international audience. In fact in 2005, Gloria, along with the song, were inducted into the Dance Music Hall of Fame. ‘I Will Survive’ has since been featured on the soundtrack of a whole host of films and become a timeless classic. Testament to the enduring impact of the song is the fact that VH-1 honoured Gloria with the number one spot during their countdown of the Top 100 Dance Records of All Time. Decades later, it is still the soundtrack to dancefloors everywhere, and Gloria herself has also won many other awards including a Legend title at the World Music Awards in Monte Carlo. Other huge hits for Gloria, who was born in New Jersey and brought up on Nat King Cole, include ‘Never Can Say Goodbye’ (which reached Hot 100 number 9 in 1974), ‘Let Me Know (I Have a Right)’ from 1980 and ‘I Am What I Am’. Away from music and endless live tours of the world that see Gloria entertain thousands of fans with her incredible vocal range, she has also made a splash on Broadway in the longest running musical revue, Smokey Joe’s Café and has also appeared a number of times on national TV as a guest on shows including That ’70’s Show, Ally McBeal, The Wayans Brothers’ Show, Don’t Forget The Lyrics, and many more.